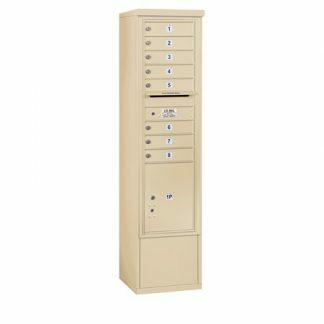 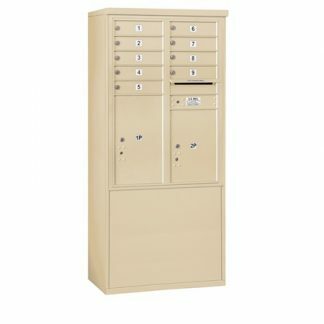 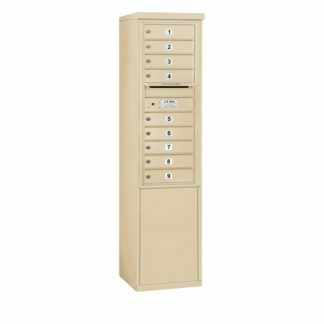 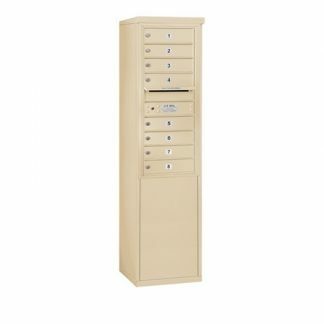 Free-Standing Mail Stand Enclosures with 8 to 15 door 4C Horizontal Mailbox Units from National Mailboxes provide the perfect solution for your stand-alone installation needs. These kits allow your 4C mailbox and Parcel Locker centers to be easily mounted indoors or outdoors! 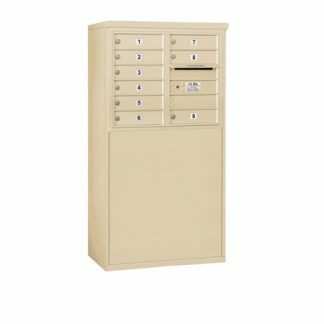 4C mailboxes are USPS Approved and meet or exceed STD-4C requirements for new construction and major renovations. 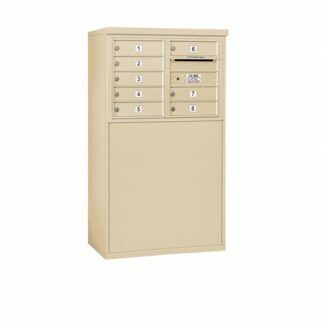 They are also ideal for private delivery applications. 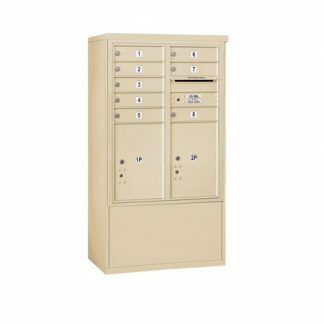 Parcel lockers must be a minimum of 15″ H to meet the 1:10 ratio. 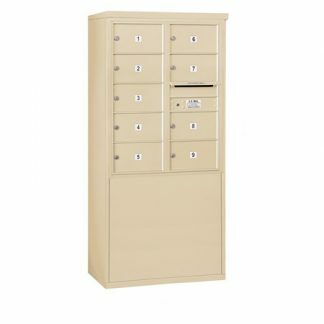 Once this ratio has been met, additional smaller parcel lockers may also be added. 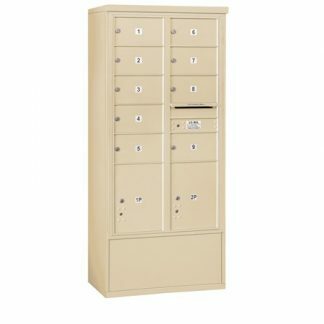 Colors: Aluminum, Bronze, Gold, and Sandstone (shown). 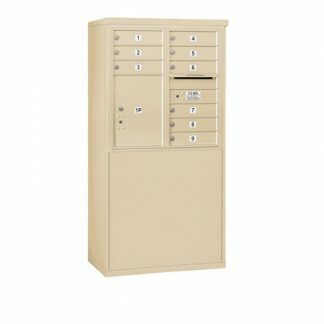 Free-Standing Enclosure and 4C Mailbox Unit must be the same color.